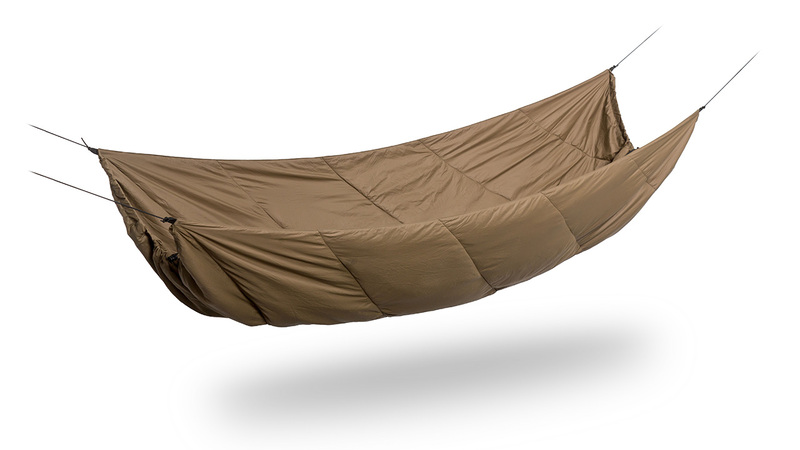 Lighter version of our famous OTUL underquilt. 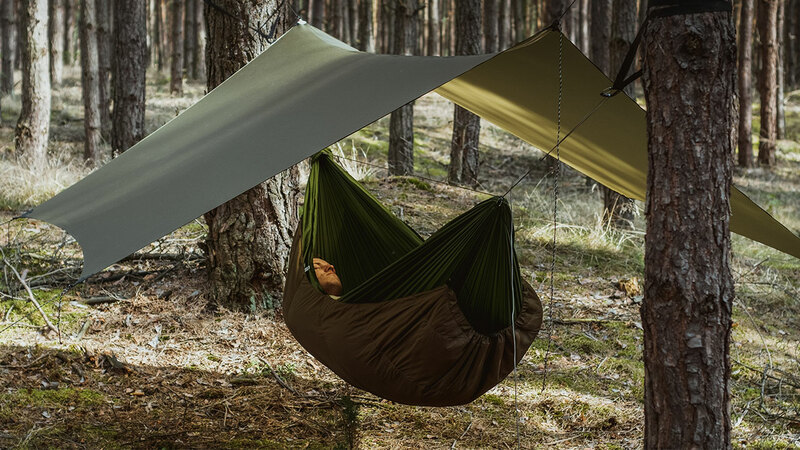 A must-have for any spring-summer hammock camper. 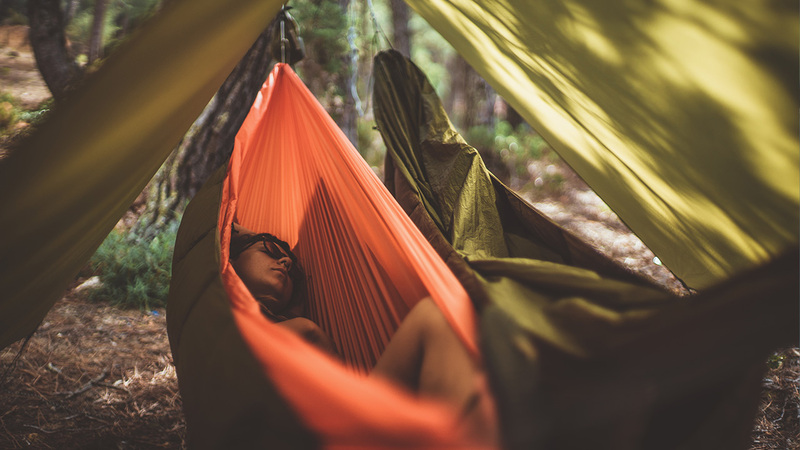 When sleeping in a hammock, a regular sleeping bag gets compressed which results in less insulation on the sides and the bottom. It might be inconvenient even during spring and summer season, when even the best sleeping mats will not guarantee comfortable protection from chill. 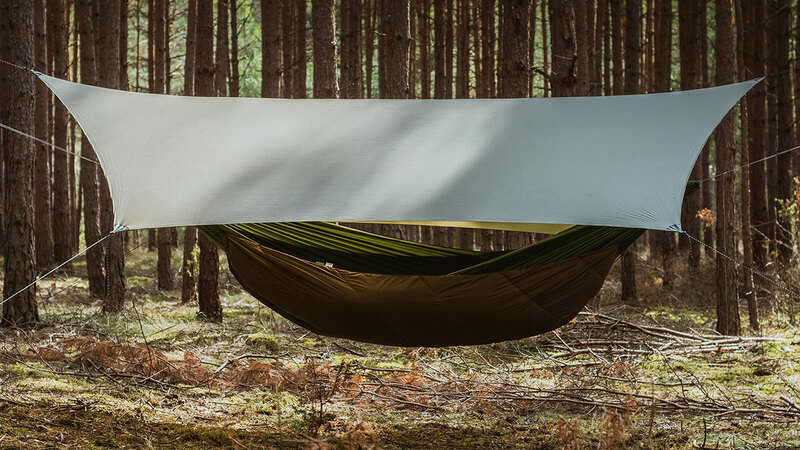 OTUL Lite underquilt surrounds the sides and bottom of your hammock and traps the air that your body heated so that you can get a comfortable and lovely night’s sleep even when colder weather strikes. Once you get OTUL, you won’t need to use a sleeping mat anymore! 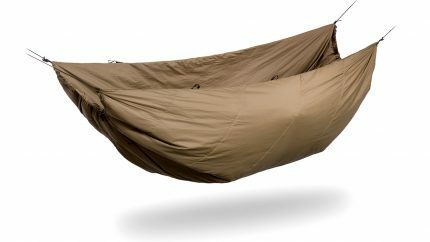 OTUL LITE is the lighter version of our famous OTUL underquilt. It;s designed for temperatures above 7°C (night). 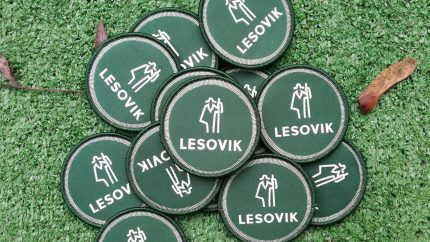 Lightweight, durable, quick-drying microripstop polyamide fabric – the same material that is also used in manufacturing process of jackets and sleeping bags for Polish Special Forces units like GROM or FORMOZA. Perfect insulation layer – CLIMASHIELD Apex – the most thermally efficient continuous filament in the world. 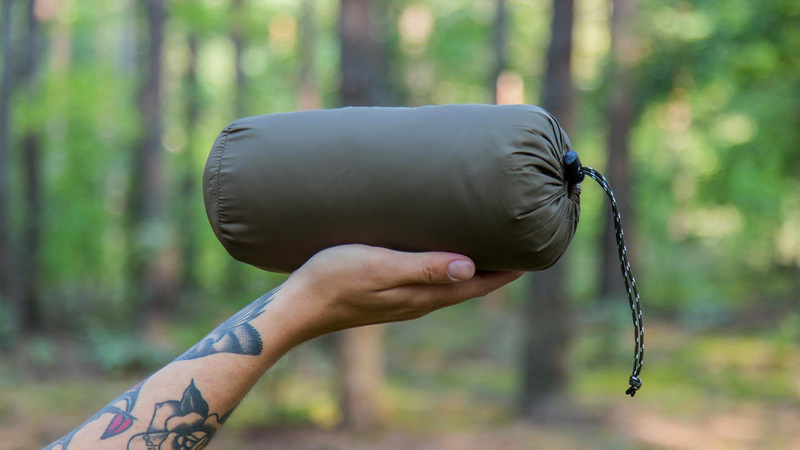 It’s lightweight, elastic, durable and hydrophobic which means it doesn’t soak up water! Minimalistic, universal design – OTUL is a versatile product. 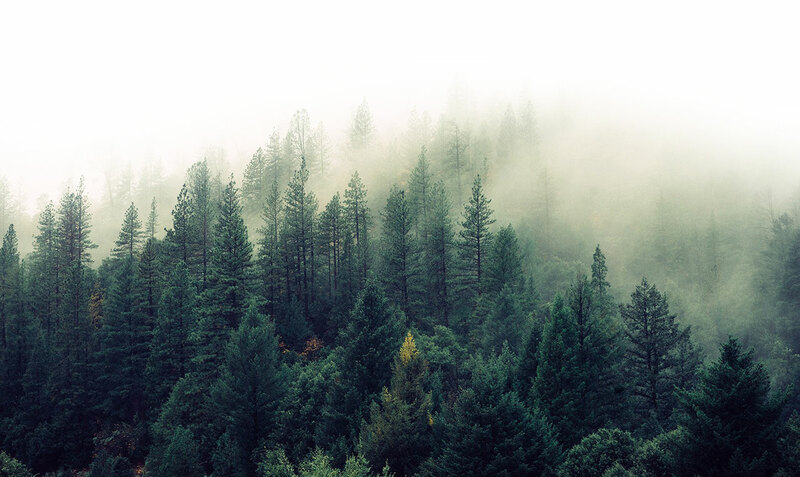 Setting it up doesn’t require any special knowledge or equipment and takes very little time. What is more, it works great with any hammock. 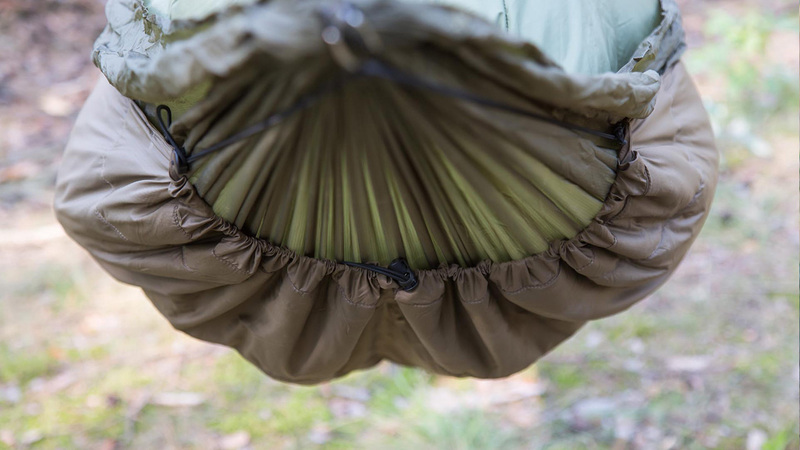 You can even adjust the underquilt’s insulation performance while already laying in and simply loosening the drawstrings. You don’t even need to move from your hammock! 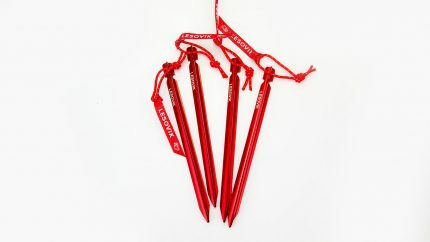 OTUL is rigged with shockcords and slide locks that are run along end channels and allow you to tighten up the underquilt so that it doesn’t let any cold air in. This solution creates so called footbox and shoulderbox that surround your feet and shoulders – these parts of your body that are most vulnerable to the effects of cold temperatures. 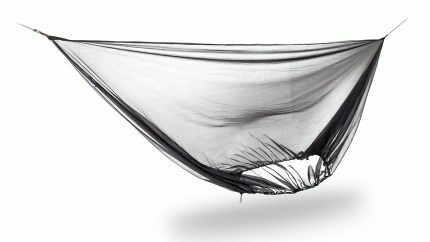 Moreover, OTUL uses baffle structure with chambers of filament, that is one of the best methods for optimizing the loft and performance of the underquilt.